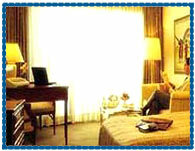 Hotel Taj Residency Bangalore, Taj Residency Hotel Bangalore, Reservation for Hotel Taj Residency, Bangalore, India. Address: 41/3 Mahatma Gandhi Road, Bangalore- 560001, Karnataka, India. Accessibility: 4.5 kms. from Bangalore Airport, 7 kms. from Railway Station, 7 kms. from Bus Stand. 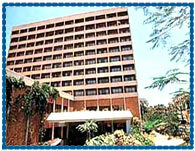 Hotel Taj Residency is located in the heart of Bangalore, viewing to the city and picturesque Ulsoor lake. this hotel is a quick 20 minute drive from the international and domestic airports. Hotel offers a perfect combination of uncompromising hospitality and amenities including comprehensive business facilities, restaurants and bars to cater to the needs of tourists and delegates. Hotel offers a wide choice of 163 air-conditioned rooms and 5 suites with all the facilities expected from the Taj group hotels. Business Centre, Colour Copier, Fax, Photocopier, Secretarial Services, Translation / Interpretation Services (Russian / French), Wireless Internet Access, Workstations, Babysitting, Beauty Parlour / Hair Salon, Car Hire Service, Currency Exchange, Doctor-on-call, Florist, House Doctor, Travel Assistance.